This project brings a slice of the Texas Hill Country to Greatwood in Sugar Land. 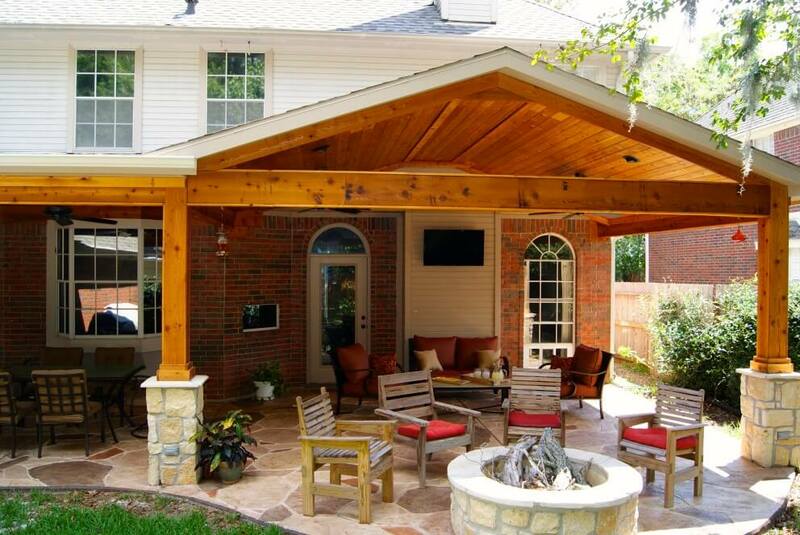 A gable roof with cedar beams and columns is accented with Austin white limestone for the column bases and for the wood-burning firepit. On the left side of the structure, the patio roof replaces the old breezeway. A flat ceiling allows for all of the electrical to run through the “attic” space of the patio cover. Enjoying hot Summer days in this shady backyard. 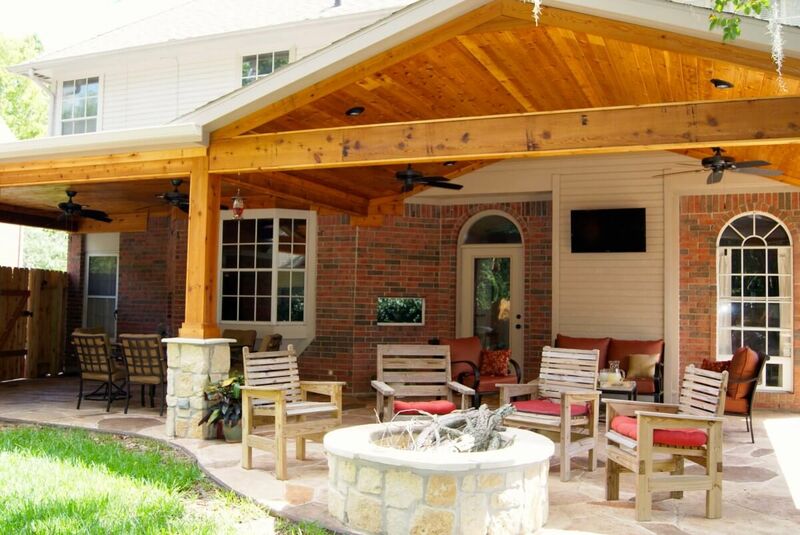 We couldn’t be more pleased with Texas Custom Patios and Steven. We have completed two projects with them. We are enjoying our extended patio and our fireplace that they rebuilt. The service and quality of their work was the best we have seen. We could always count on Steven to answer all our questions, return our phone calls, and show up on time. The finished results are more than we expected. We would recommend Texas Custom Patios and we will use them again for our next project.